I've been working on a series of monoprints which have sprung from my experiences teaching beginners basic printmaking techniques and a feeling that I was over-complicating my previous work. Teaching monoprinting and introducing students to basic inking skills made me realise that there is space for me to develop work which utilises a more open-ended direct approach. 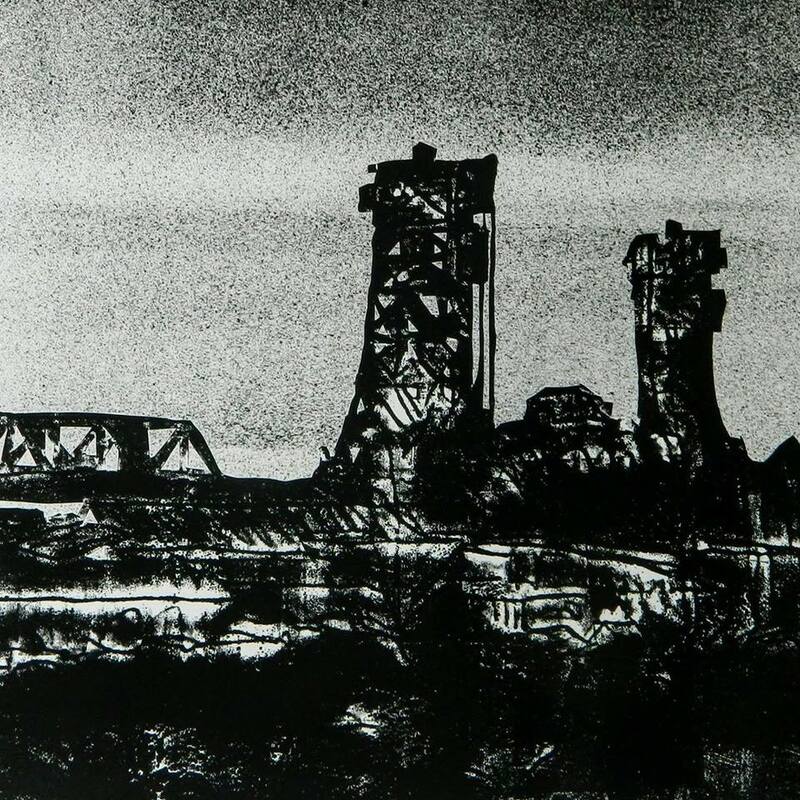 Monoprinting has always been a favourite printmaking process for painters for its direct application of ink to the plate and the ability to make a print while avoiding more involved process of other printmaking techniques. I've begun to see the value in developing a practice which offers ways to elude what can become the deadening burden of process. That is not to say I don't value facility and the control of craft in my practice but I want the process to be secondary to the image. However, neither do I wish to obscure or hide the inherent qualities of the process.I want to retain qualities in the work that are the product of intrinsic printmaking techniques and not derived from painterly technique or other media. To this end, I have been slowly reducing my recent landscape works to reflect elements that are made using only printmaking tools and implements and trying to develop a language of marks and texture that are their logical product. As these images are monoprints I have also begun working on a un-modified plate which only holds the ink applied to its surface. These restrictions impede any tendency i may have towards the description of form and force me to explore the interplay of roller, ink and surface as the sole means of producing the image. I've been using a square plate which is twice the width of my roller. This facilitates an image composed of two bands of ink which suggest a 'horizon'. I've been working predominantly in black and white for a while but this series of works are the first to use two different blacks; one a neutral black straight from the tube and the second a mixed chromatic black which is dominated by Prussian blue. Reducing my images to their base components and slowly re-complicating the image is a method that fascinates me as it reflects the tension I feel between the abstract/concrete aspects of making a print and making an image. Not cleaning the plate between impressions generates ghosting and additional tones as well as ghost forms which direct the application of ink in subsequent prints. Each image becomes a work that is 'in conversation' with its predecessors as it progresses through black.